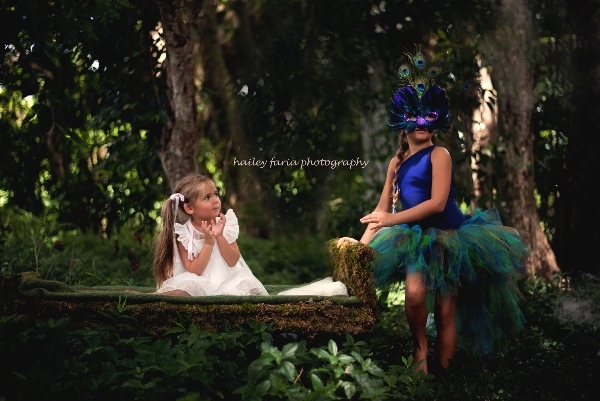 Baby and toddler girls peacock bustle tutu with peacock eye feathers. 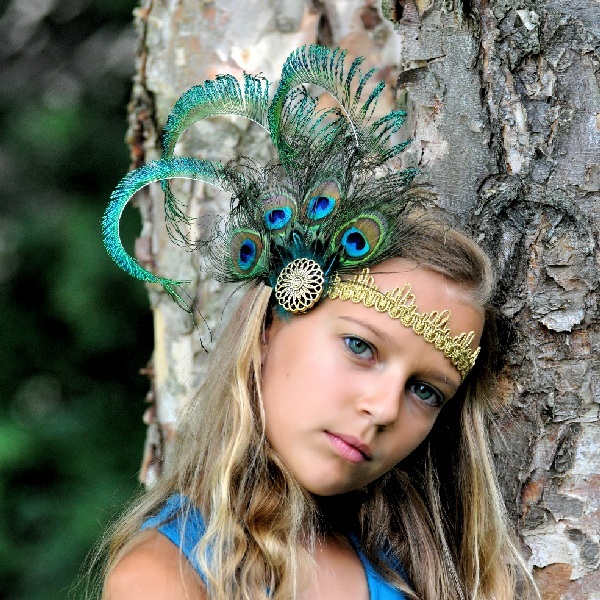 Halloween peacock costume tutu. 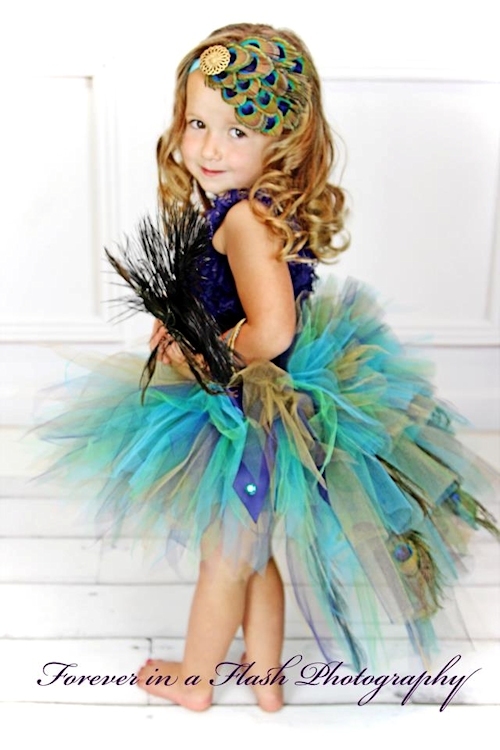 This baby girls and toddler size peacock inspired bustle tutu is stunning in shimmering gold, turquoise, navy and emerald green tulle, and features a gorgeous peacock feathered bustle and two satin bows at the sides. 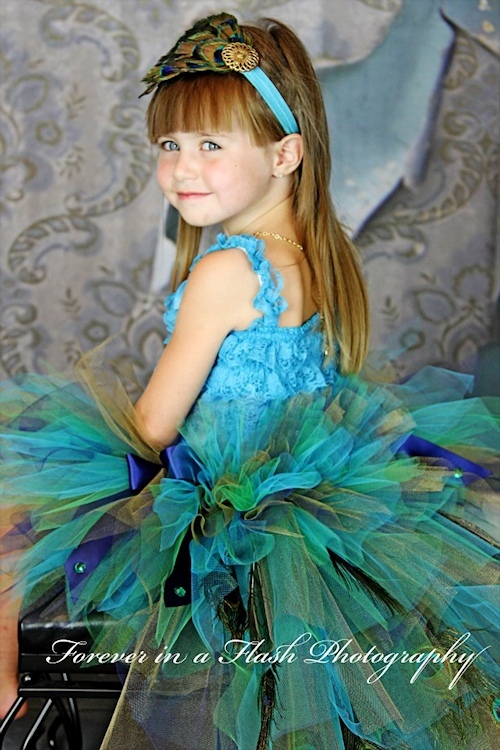 A stunning tutu for baby's portraits, toddler Halloween costume or pageant tutu.